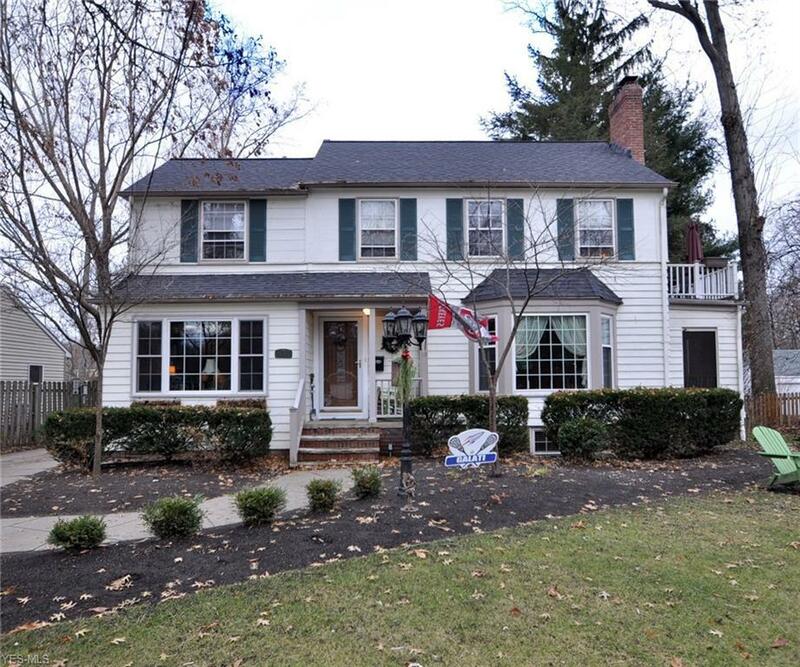 Fabulous colonial in the heart of Bay Village! Meticulously maintained and move in ready. This home is located on one of the most sought after neighborhoods in Bay - walk or ride your bike everywhere. Gorgeous hardwood floors , crown molding , 2 fireplaces and character throughout. Formal living and dining room with wood burning fireplace. Updated kitchen with custom maple cabinets and ceramic floors. A large family room and a 17 x 8 screened porch overlooking the private wooded lot complete the first floor. Upstairs are 4 bedrooms with hardwood floors, 2 more full baths and access to the 18 'x 13' third floor which could easily be converted to another bedroom, studio, or flex space. The lower level is perfect for entertaining with another wood burning fireplace , workout area and loads of storage. Walk outside to the amazing deck overlooking the very private deep wooded lot. Conveniently located to the Metroparks, Huntington Beach, downtown Cleveland, Cleveland Hopkins and all major freeways.